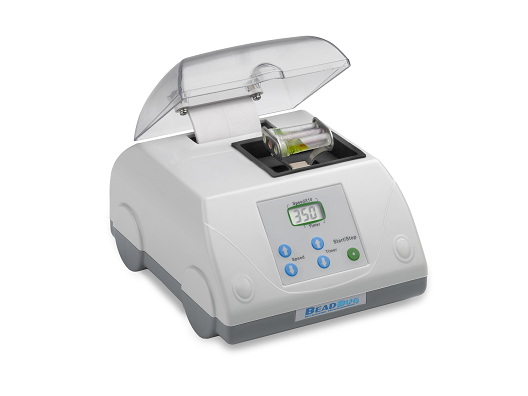 The BeadBlaster 24 completely lyses, grinds and homogenizes a broad variety of biological samples. Even the most difficult samples are often fully homogenized within 35 seconds or less. 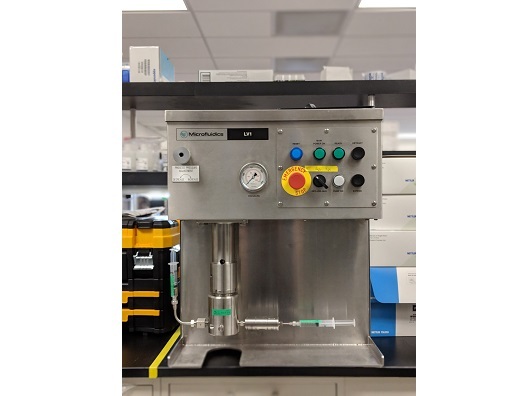 The stainless steel tube carrier subjects up to 24 samples to an optimized, high speed, 3D motion, producing high energy impacts between the samples and micro beads to release cellular contents. 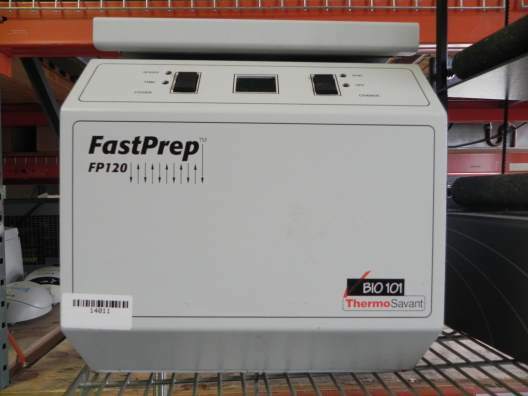 To protect fragile, heat sensitive samples, the unit can be programmed to operate in shortened consecutive cycles with a rest period in between. Up to 50 programs can be stored in memory and recalled for future use. 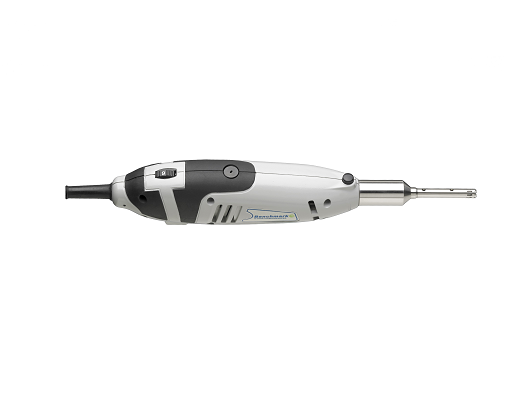 Benchmark's new handheld homogenizer, the D1000, is designed to rapidly homogenize, emulsify, suspend and disrupt biological samples. 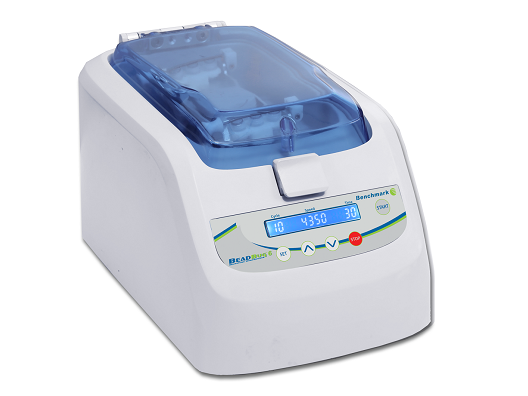 Ideal for use with microtubes, the homogenizer works well with samples from 0.1ml to 250ml. 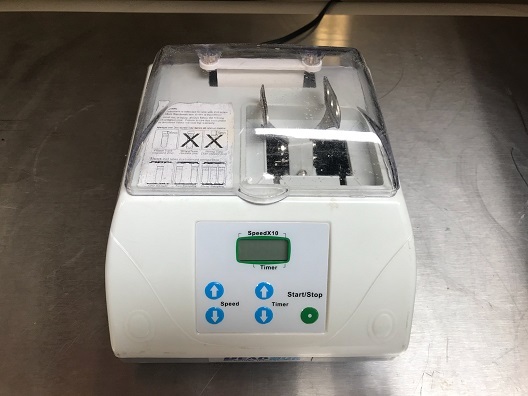 This versatile homogenizer provides a cost-effective method for quick, safe batch processing without cross-contamination. Accessory vials and equipment enable more efficient throughput. 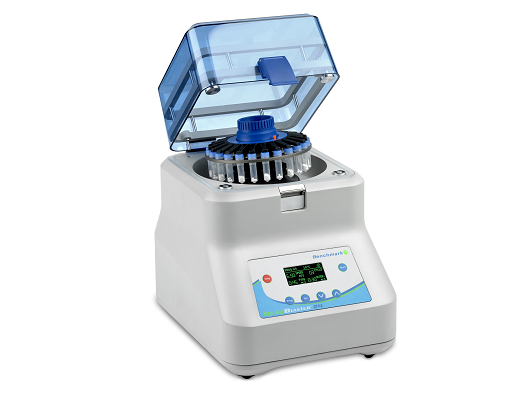 The sample holder accommodates a wide variety of sample configurations. Any container that can fit into the sample holder's 4 x 5 in. 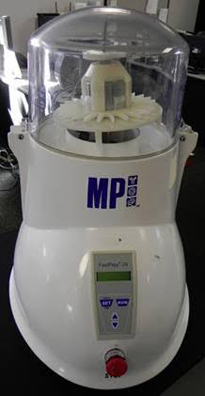 platform can be used to homogenize a sample. Linear motion ensures uniformity in sample processing. 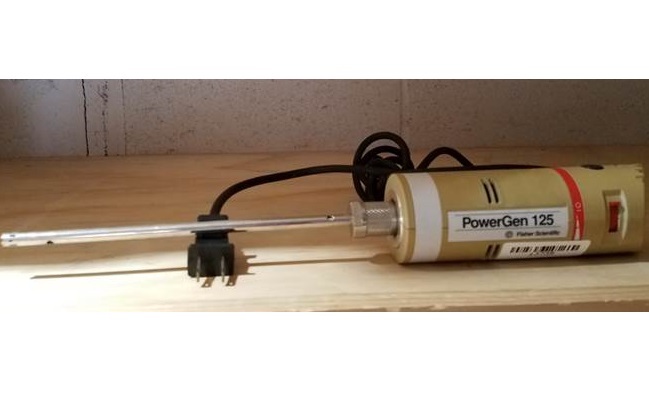 The versatility of the PowerGen is also represented by the wide array of samples which can be processed on it. Typically small soft tissues and microbial samples can be homogenized in 96 deep well plates, using either small grinding balls or even smaller disruption beads. Samples which are still small, but much tougher like seeds, bone, and root, are processed in 4mL vials using larger grinding balls. The larger balls are needed to simply increase the force to homogenize hard samples. Homogenizers are ideal for plant and animal homogenization, PCR applications, soil and wastewater extractions, and Karl Fischer titration. These high-speed rotor/stator homogenizers feature infinitely variable speed control and can be used to rapidly crush, tear, disintegrate, emulsify, or suspend particles in a liquid medium. The systems impart shear energy into a liquid emulsion or suspension far greater than that of a conventional mixer. The accessory dispersing elements provide a wide range of volumes and applications.